All yard sale flippers and prospectors love to find gold and silver hidden at yard sales and garage sales. But, where are the best places to consistently find carat gold and find sterling silver among the piles of worthless junk that people are trying to get rid of? You’d be surprised where the best places are! In this free blog post, we will discuss these sources of almost free gold and silver and also several strategies for increasing the amount of treasure that you discover. Let’s be realistic. You are not going to find hidden precious metal treasure at every yard sale. You are not even going to find it every day, if you go to multiple sales. But there are definitely things that you can do to improve your chances of finding gold and sterling silver more often. Get there early. Obviously, the more people that sift through stuff at a yard sale, the less of a chance there is going to be that valuable gold and silver items are going to be passed over. Be at the yard sale that you think is likely to be the best sale of the day AT LEAST half an hour before the posted time that it is to start. It is very common for yard sale hosts to open the sale early if people are waiting to get in. Know your sh&#. 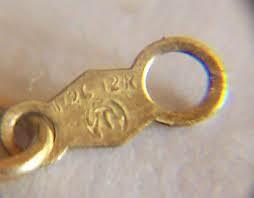 Know where gold is marked on small pieces of jewelry and know as many of the sterling silver hallmarks as you can. Know what sterling silver feels like compared to silver-plate. Know the physical characteristics of precious metals, so they stand out from other jewelry pieces when displayed together. 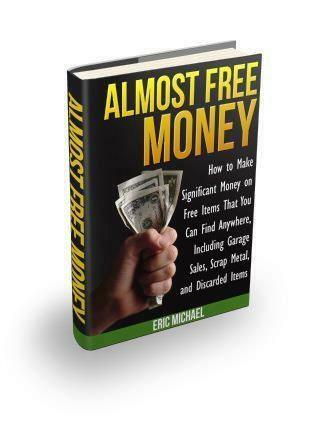 There is a lot of this background information provided in Almost Free Gold. Make sure that you carry enough cash to make purchases of several items together or a valuable piece that you locate. Don’t miss out on a 24K gold ring worth $500 because you didn’t have $50 to lay down immediately. Most hosts will not hold items for you, even with a down payment. They want to sell their stuff ASAP! Carry a checkbook and at least $200 in cash in your vehicle. You can always put it back in the bank after you are done picking. Know how to figure the melt value of gold and sterling silver items. This is also covered in Almost Free Gold. You HAVE to know how much these items are worth, before you buy the items. Carry your prospecting tools, as we discussed in AFG. You should know very close to exactly how much that ring is currently worth, just in precious metal value, so that you can decide whether to buy expensive items, where the host knows that the jewelry is carat gold. These opportunities are probably the most frequent yard sale finds and you can still make excellent profit on these items with almost immediate turnover, just by being willing to spend more money than a lot of yard sale shoppers are willing to spend. Think like a yard sale host. They are NOT going to give you gold and silver for 25c on purpose, right? So, where might the treasure be hidden, where the host doesn’t know about it? Where is the good stuff at yard sales that the host does not know much about? Hmm???? Find Gold and Silver… Right out in the open. Yep. You will find by far the most quality gold and silver jewelry and decorative sterling serving pieces right at the front of the sale and the host will know exactly what it is. However… most hosts will NOT know how to figure out what the precious metal value of the items are. Plus, most yard sale shoppers are not looking for high-end pieces and don’t have enough cash on hand to buy the gold jewelry, even if it is obviously under-priced treasure. Good thing that YOU read Tip #3! You can almost always get these items at 30-50% of the actual precious metal melt value at yard sales, especially after a bit of negotiation and perhaps some item bundling. Find Gold and Silver mixed in with large piles of crap jewelry. Sometimes, I will actually find tiny carat gold marks on jewelry at the sale, mixed in with other cheap jewelry using a magnifying loupe with a light, but usually I don’t want to spend the time to sift through all that stuff, when I could be buying other stuff to sell. So, I have performed the following tactic successfully multiple times: I get to a sale fairly early and see a huge pile of jewelry – I mean, this stuff is a mess. Twisted gold and silver chains tied in knots, with kinks in the material and a bunch of hoop earrings mixed into the bird’s nest of jewelry. The stuff is in a box or lying on a table with a sign that says $1 each. I pick up the entire box or scoop all of the stuff into my hand and ask the host if they would take $2, $5 or $10 for the whole lot, depending on how much there is. I have found a lot of thin 24K gold chains and earrings this way and you can also at least break even by selling the rest as a lot on eBay – just make sure that you sell it as costume jewelry or as non-carat jewelry for girls. Inside of boxes and containers. I have found gold and silver items in boxes that contain a bunch of odds and ends. This goes back to Tip #5, where the host has no idea what is in the boxes. Your can find gold and silver hidden in boxes under tables quite often. You know, the boxes the host was too lazy to open for their sale? You can also find gold and silver in the free boxes at yard sales, in jewelry boxes, in watch retail boxes and in playing card cases. If you see any boxes and containers at yard sales (if they are on the tables or directly under the tables, they are usually fair game), open them. You should even look inside closed retail boxes and containers that look unrelated to metal items. You never know where this stuff can be! I mentioned FREE boxes before. I have found several very nice gold jewelry pieces and sterling silver collectibles, just by grabbing Free boxes on my way out of yard sales and going through the contents later at home. GOOOOLLLDDD!! Find Sterling Silver serving pieces mixed in with other serving pieces. 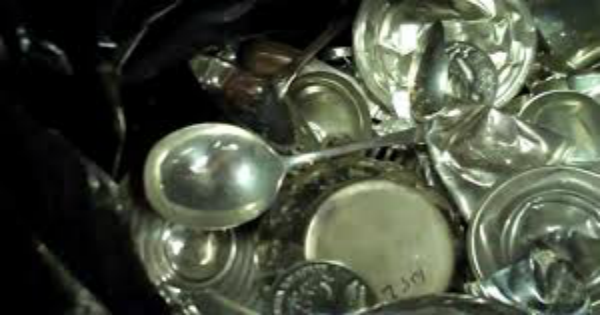 It is fairly common to find sterling silver pieces that are not obviously marked as Sterling in many different places at yard sales (see Tip #2). ANY TIME you are at yard sales and there is a lot of old silverware or serving pieces (especially if it is high quality stuff), look for your sterling hallmarks. I have found a fair amount of large sterling pieces this way. You should also look for pieces that most hosts (and re-sellers) don’t think about as possibly being sterling, such as silver pens, watch bands, hair pins, decorative knickknacks, etc. We cover a lot of these types of items in AFG. PS: Again, I have made a lot of money selling vintage silverware online – this stuff does not have to be Sterling to be valuable. I buy whole boxes of mixed silverware and re-sell it for excellent profit on eBay and Replacements.com. Inside the hosts’ home. Use your gift of gab and tell the host that you are an experienced precious metals buyer. Ask them if they have any other gold or sterling silver items that they would like to sell. This works much better if you carry your prospecting tools with you and show the host that you can show them exactly what their gold and silver is worth and make them a fair offer. Carry a business card and leave it with the host. You can make some extraordinary scores this way and sometimes the host will even refer you to other family members or friends that are looking for some extra money. Please help out your fellow yard sale flippers and tell us all about your favorite treasure finding story, or leave a tip to help other flippers find gold and silver at yard sales and garage sales by leaving a comment below.